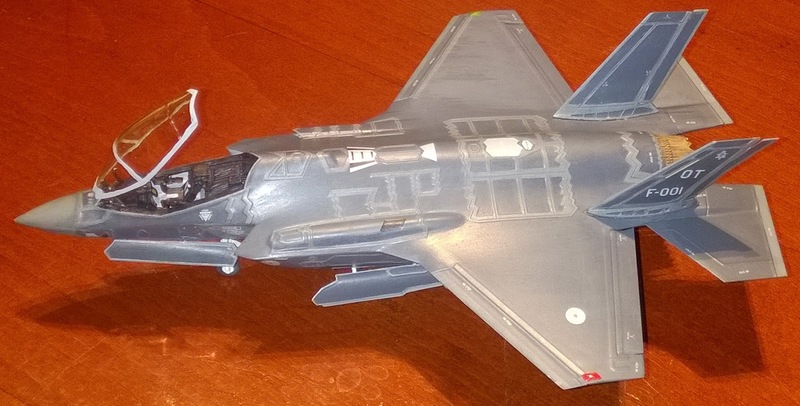 This year Italeri released their F-35A model a second time (Kit. No. 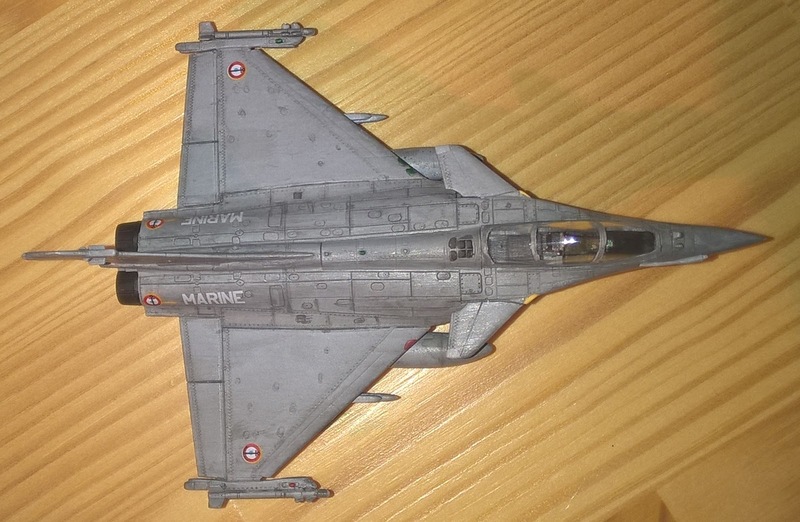 1409), now with authentic decals of machines from various airforces. 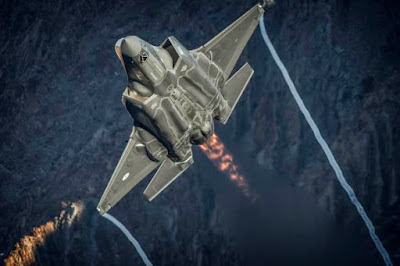 At the time of there previous no actual F-35A's where delivered yet to airforces other then the American so Italeri had to guess the markings. 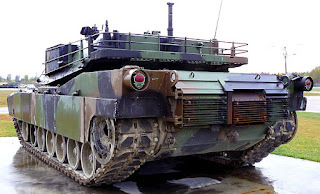 With this the same model has a larger decal sheet including even several dozen 'no step' decals. 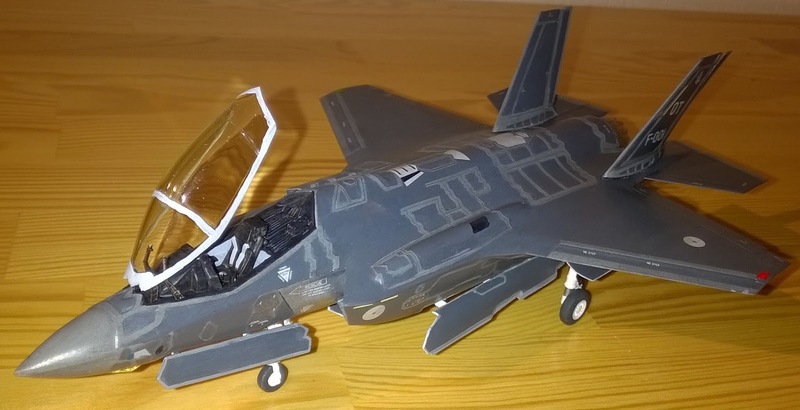 Stealth means smooth surfaces so there are, completely authentic, no panel lines. There is, once again completely authentic, a lot of raised detail. 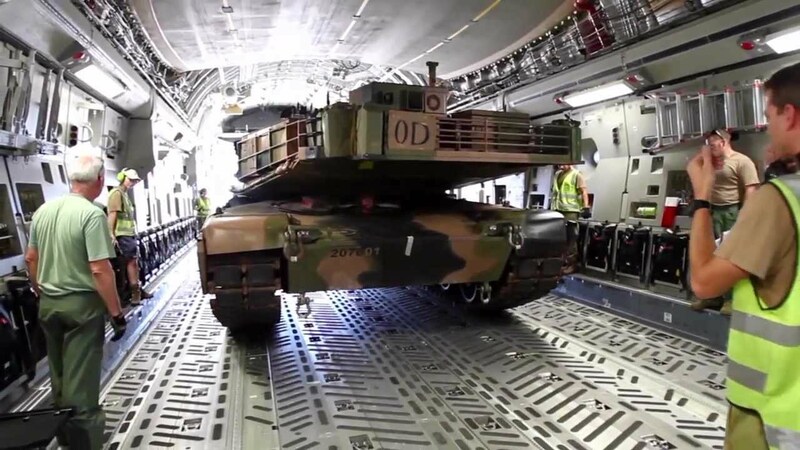 The bomb bay doors can be placed open. The bomb bay it self has some detail but not very prominent, there is a very characteristic tube in the real machine which is molded under scale here. 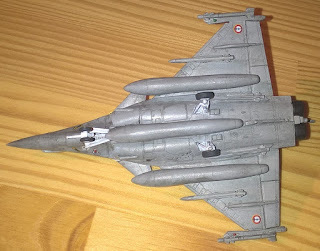 Two JDAMS and two AIM-120's are provided to fill up the bomb bays and they take quite some space so exquisite details of the bays them self wouldn't be seen or could even be in the way so it was logical for Italeri to keep that modest. 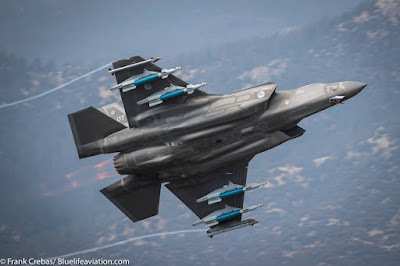 The JDAM's and AIM-120 are very fine however. One of the few non-white parts in the bomb and wheel bays of the real machine are (what seem to be) cable fasteners and these have been molded in the wheel bays but not the bomb bays. 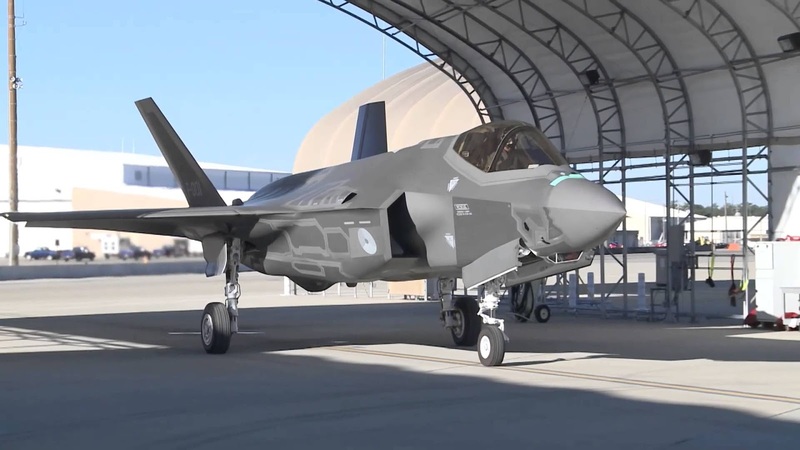 The model also features a complete engine and tinted canopy glass. The cockpit detail appears to be sparse but this is actually correct, the F-35A has very few control panels and buttons compared to older aircraft. The flaps of the main wings are provided separately and can be glued in a downward position but I'm not sure how they fit precisely. 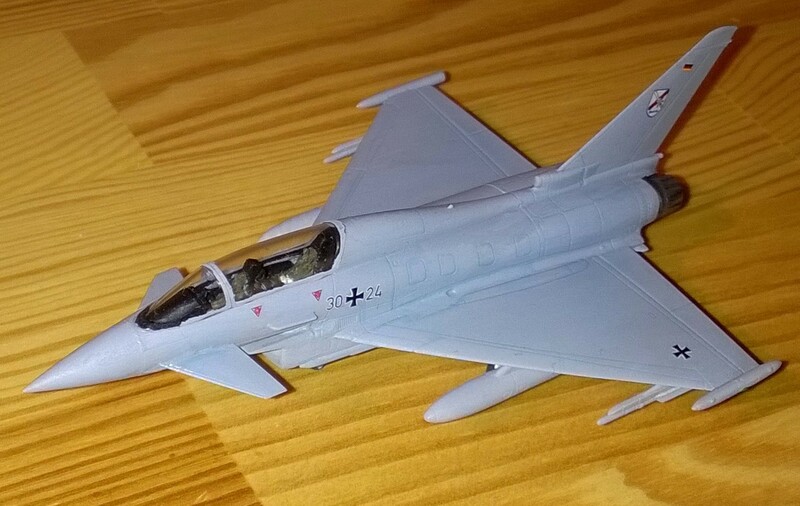 The only real weak point of the kit is the top of the ejection seat. You really need filler here to hide the seat is made form two halves. A minor inaccuracy are the undersides of the wings, the outline for the pylon fasteners are not represented here. The fit of the parts is good and I required almost no filler. I had some difficulty assembling the halves of the tail wings and tail rudders but these are molded correctly. 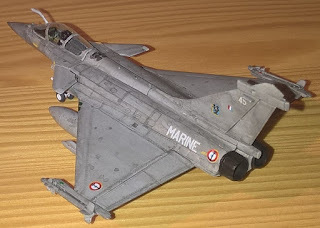 Decals are good but on one model they came lose when applying a mat coat. 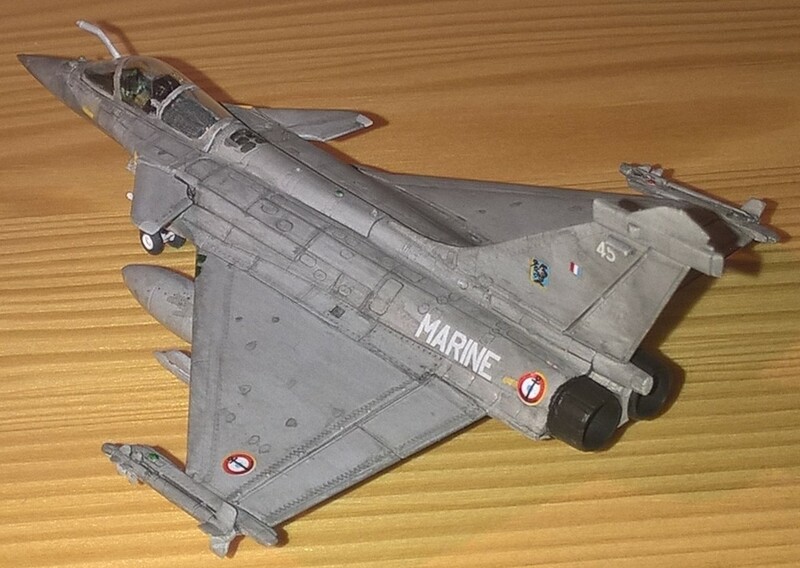 I build two models, also one for a friend and these decals stayed in place so it must have been my mistake. There is an error in the instructions, one of the bomb bay door arms has a number 46 in the instructions which should be number 48. I'm not sure anymore if I glued the other arms in the right order. I had some problems installing the AIM-120s so I think I swaped some arms around. 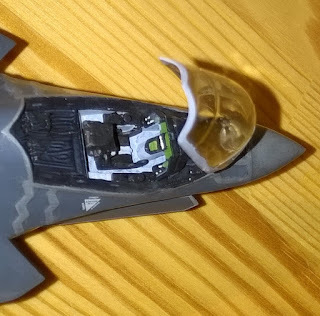 An other tip is to paint the inside of the jet intakes before gluing them together which I forgot to do. 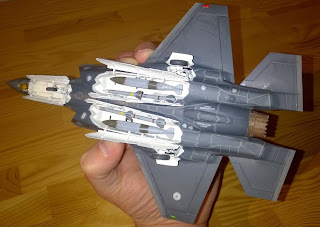 Glue for parts 42B and 43B (inner sides of the intakes) must be dried well before gluing fuselage halves together because the tend to move inward when the fuselage halves are mated together. Finally the control sticks (there are two, accurately) in the cockpit can best be installed when the aircraft is complete. 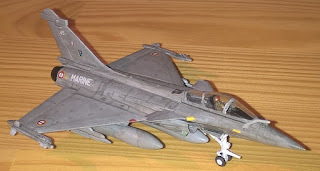 They are on a spot where you tend to hold the aircraft when painting it and the break easily. 35B and 36B are optional parts. 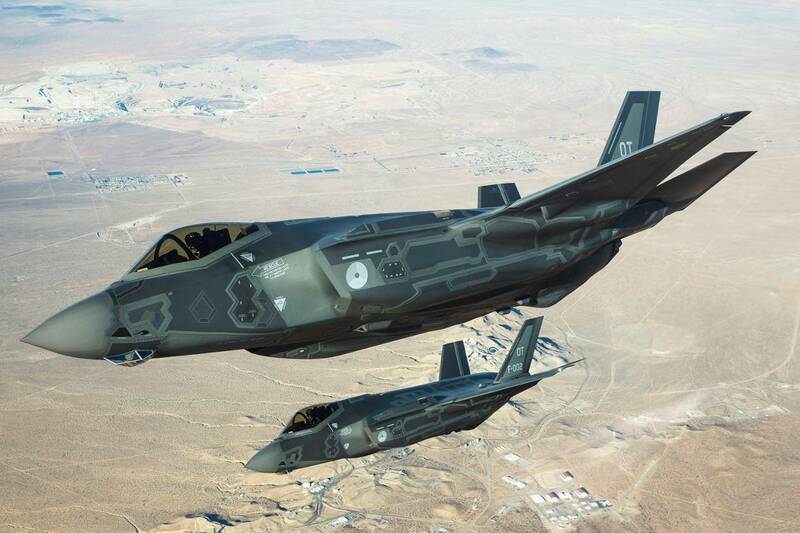 These are reflectors making the aircraft visible to radar when not on combat flights. Painting all that raised detail in a slightly lighter gray then the rest of the aircraft felt like a bit more work then expected but I made two so I think it is quite doable. 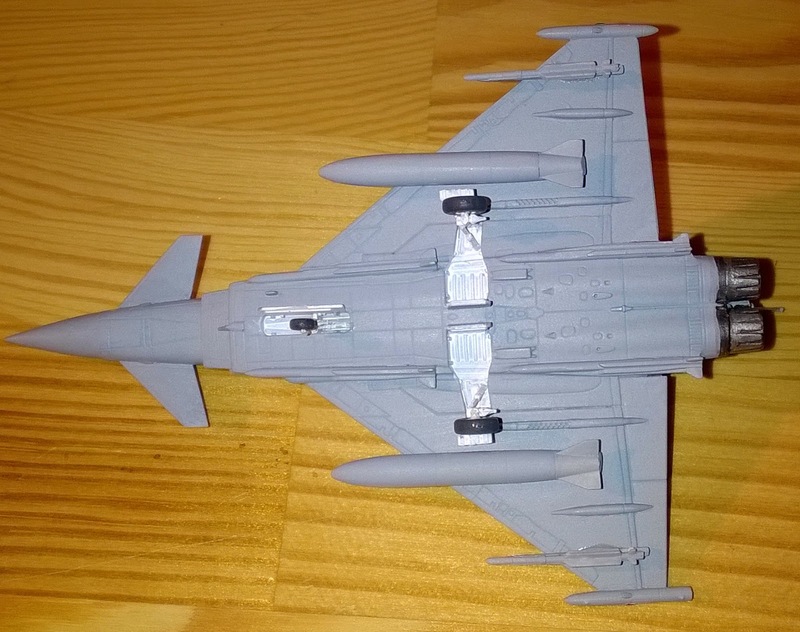 The effect is subtle in reality so you light just want to go for a uniform dark grey finish. A good and not to complicated kit of F-35. 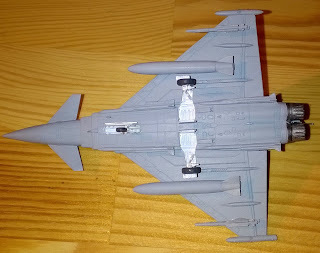 You can make painting challenging by opening the bomb doors and paint all the raised detail in a lighter shade or keep it simple and close the bomb bays (this should work but it is not an option in the instructions) and keep it with one color. 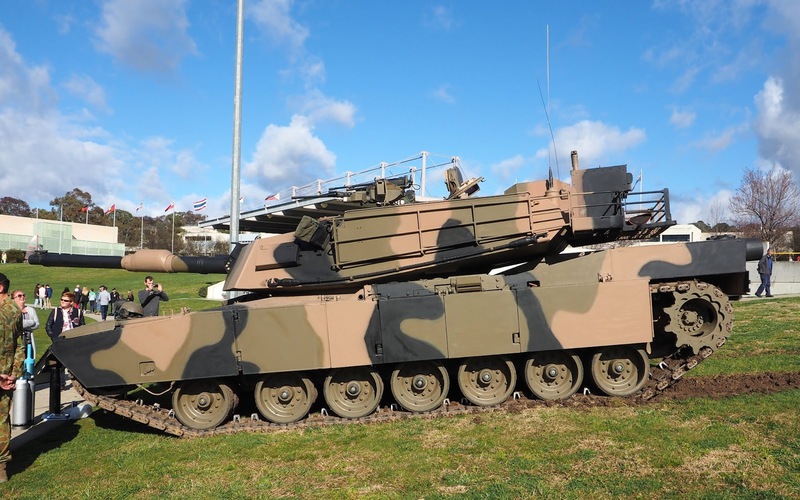 Decals are provided for an American, Australian, Dutch, Israeli or Italian machine. The Eurofighter and Rafale are similar aircraft which is not a coincidence since both are developed from the same project. 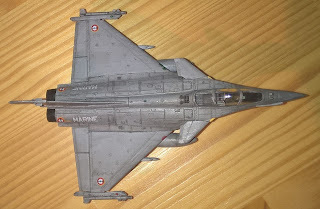 It was a multinational effort to develop a 4th generation fighter but the French left the project at some point. 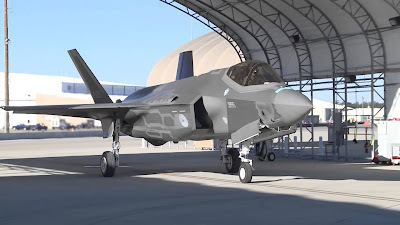 From a modelling perspective this a good point since new we can build two aircraft rather then one! 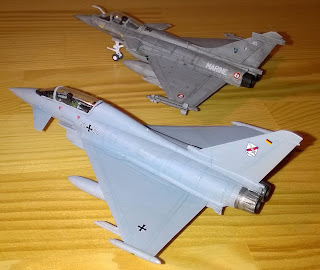 Revell has both of these aircraft in their catalog in various scales. In 1/144th scale there are several variants available of the Eurofighter, just be sure NOT to get kit no. 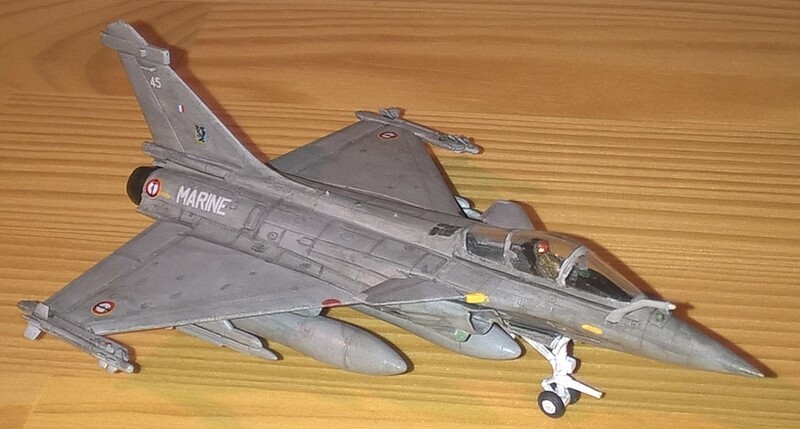 04074, which is an old kit and not half as good as their latest release. 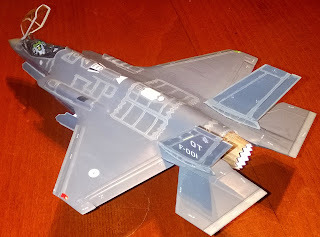 I build my aircraft last year and the build was quite flawless so nothing to report here, on to the photo's! 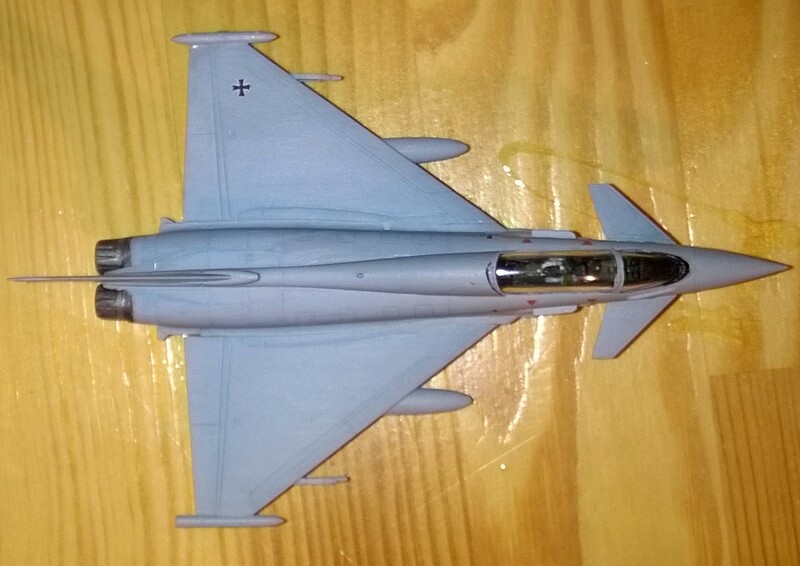 Both aircraft have about 30 parts and superb detail, highly recommended! 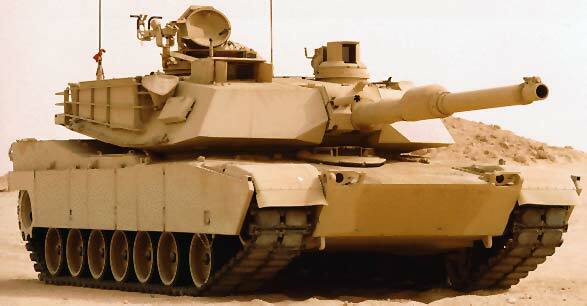 The Abrams tank is a development that started with the MBT-70, a MBT development project of West-Germany and the USA. The project proved to be too expensive and was shut down. 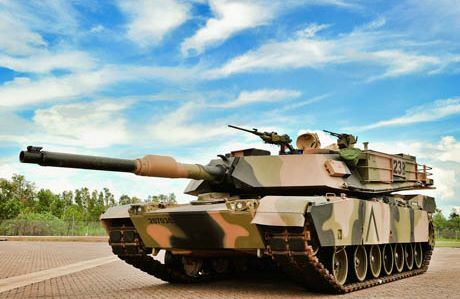 Technology developed for this project was used on both the Abrams and Leopard II so these tanks are 'siblings' is a way. 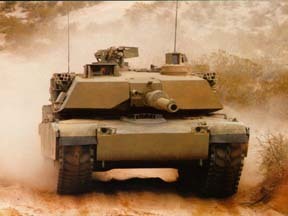 The M1 Abrams was the first tank to be designed with a laser range finder, targeting computer, thermionic targeting system and sensors in the gun barrel to measure distortions of the barrel. 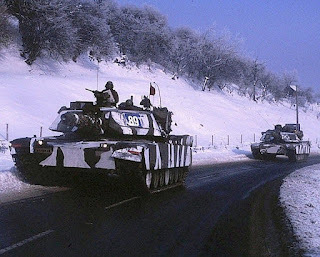 The M1 was armed with a 105mm gun and powered by an 1500 hp turbine engine. 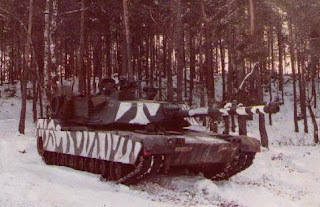 The first tanks where operational in 1978. 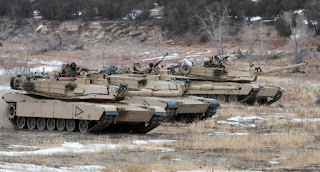 These Abrams tanks have been painted in MERDC camouflage giving you a wide range of color scheme's to chose from. Below two photo's of the prototype. 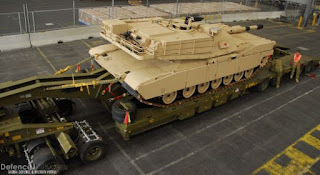 the frontal armor is very different from the armor placed on the production versions of the tank but otherwise this is the Abrams in it's production form. The M1E1 Abrams is a prototype for the M1A1 Abrams, the first type of Abrams to receive upgrades in turret armor and a 120mm gun. 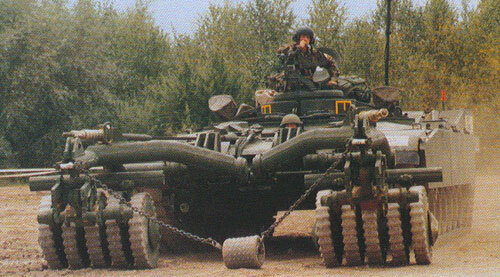 In order to carry the heavier gun the front suspension is also improved. 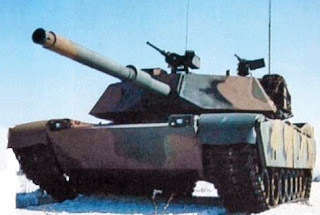 The M1 Abrams was already designed with the placement of a 120mm gun in mind so this was a relatively easy conversion. 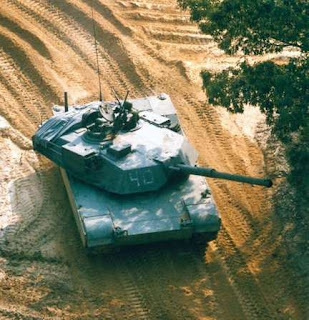 One of the prototypes carried some extra armor plates welded to the turret. A close up of this can be seen on the photo below more information on and the photo on this site. From 1978 onwards small improvements where already installed on the M1's making them known as M1IP's. One of the improvements was the larger stowage rack on the back of the turret still used today. 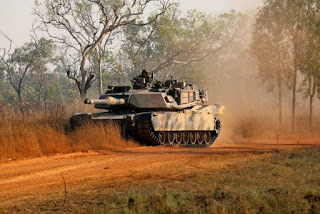 After testing with M1E1 Abrams modifications where implemented in the M1A1(HA) model of the Abrams from 1985 onwards. These include additional depleted uranium armor, a 120mm smoothbore gun, new blastdoors above the ammunition storage, an improved NBC system, slightly different access panels to the engine and a new type of stowage rack on the back of the turret. 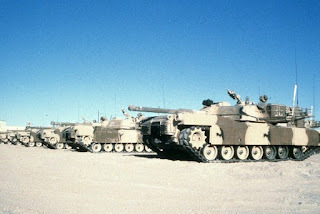 The depleted uranium armor was added from 1987 onward and retrofitted on previously build tanks. The 'HA' in M1A1(HA) signifies a tank with uranium armor added (Heavy Armor), but this is standard now so the suffix HA is sort of redundant. 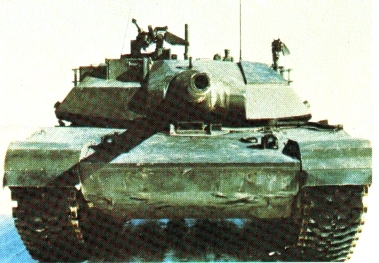 A final change on the outside is a round plate bolted on to the turret in front of the loaders hatch. This is locks off a hole in the turret where an additional target finder can be added. 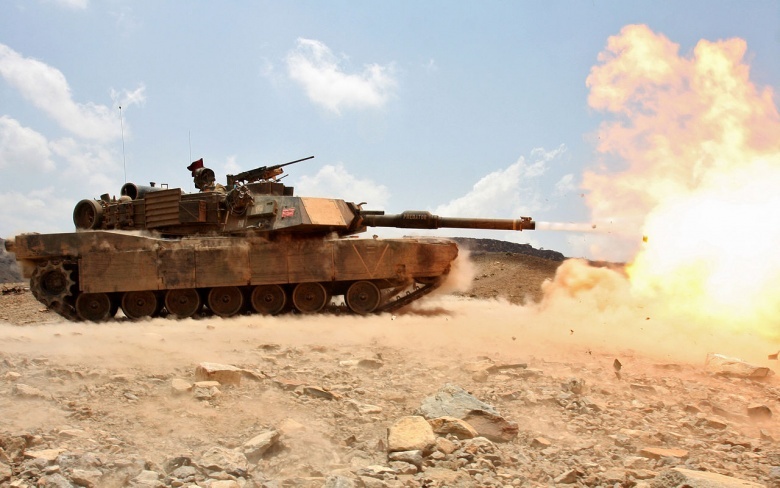 The US Marines also use the M1A1 Abrams which has a slightly different smoke grenade launcher as the army version. This version os fitted on the tank in the last picture of the paragraph. 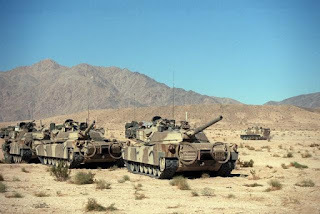 On the picture below the differences between the turrets of the M1 and M1A1 can be clearly seen. 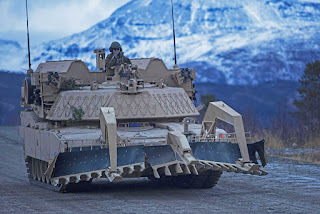 The addition of the extra armor makes the turret noticeably longer. 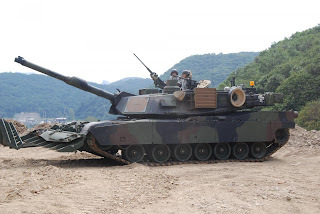 105mm gun upgraded to a 120mm gun. Provisions for the installation of an extra target finder. Two identical blast doors rather then 3 different ones. On the photo's below M1A1's note the track pads on the later pictures are of the square types rather then chevrons. 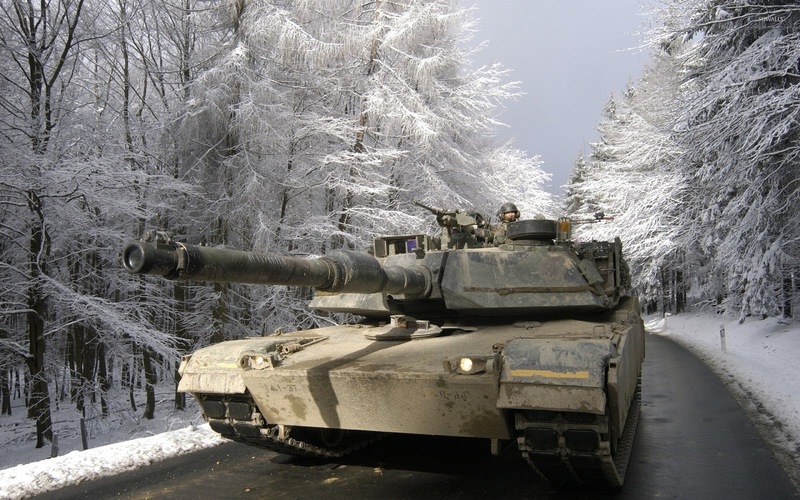 TUSK is the acronym for 'Tank Urban survival Kit'. 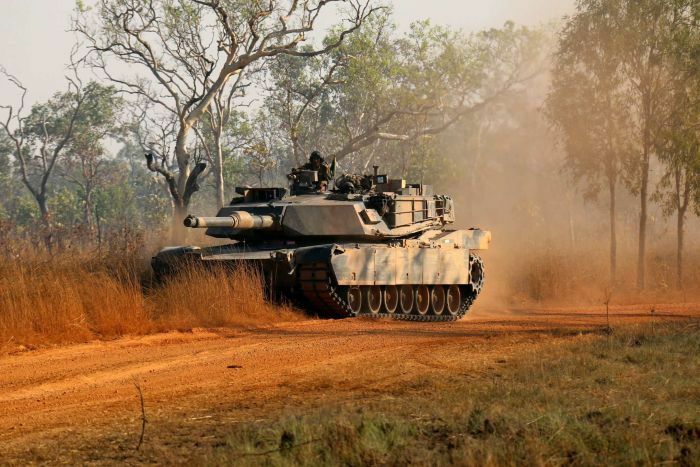 Fighting in a city environment is always difficult for infantry, cavalry and airforces. There are numerous places to hide in the concrete jungle and fire weapons from all directions and at close range. 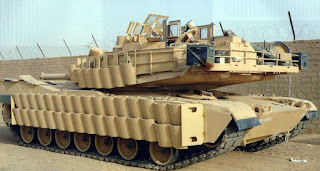 This requires extra armor on the sides, bottom, rear and top of armored vehicles. 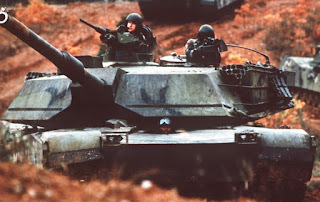 Often support to infantry has to be given with machine guns but crawling out of the hatch makes this risky because enemy snipers have plenty of the rooftops with excellent sight to shoot from. To counter these problems TUSK has been developed. 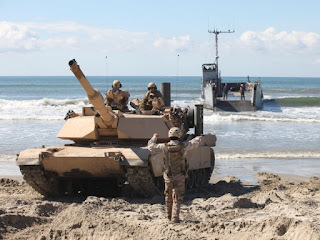 These upgrade packages feature CROWS (Common Remotely Operated Weapon Stations) which are machine guns with camera's that can be controlled from within the tank and ERA (explosive Reactive Armor) for the hull. 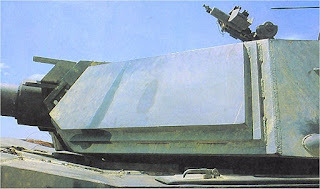 The underside of the hull is also protected with an extra layer of armor. The TUSK II package has an extra layer of 'tiles' over the ERA and also for the turret. 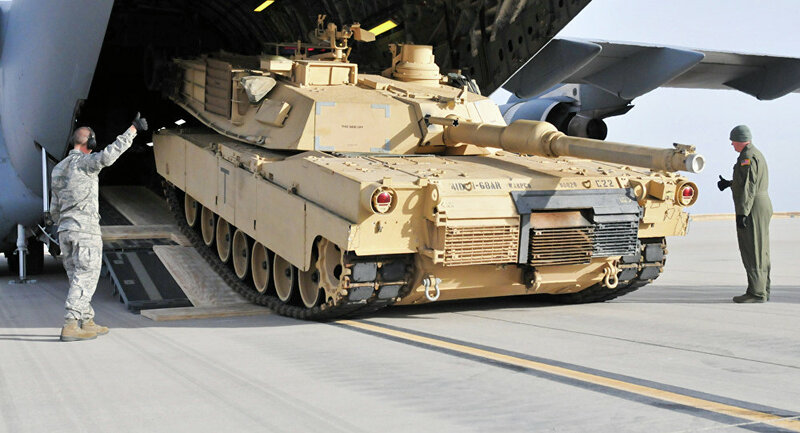 This makes the tank very heavy though (70.000.000 kg). 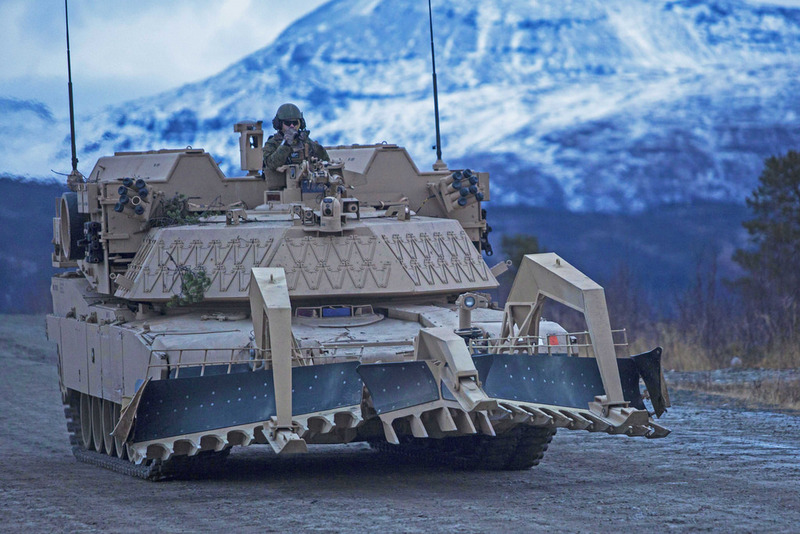 The TUSK I and II is made to be removable. On the first picture an Australian Abrams Tank with the TUSK I armor. On the second picture a M1A2 with TUSK II. 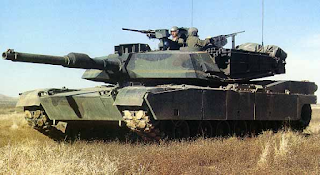 The Abrams was not an export success until very recently. Maroc, Saudi Arabia, Irak, Egypt and Australia all have bought or are looking to buy M1 Abrams tanks. 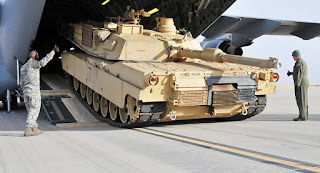 All export versions can differ in armor and electronics. One example of an export version is the M1 AIM for Australia. 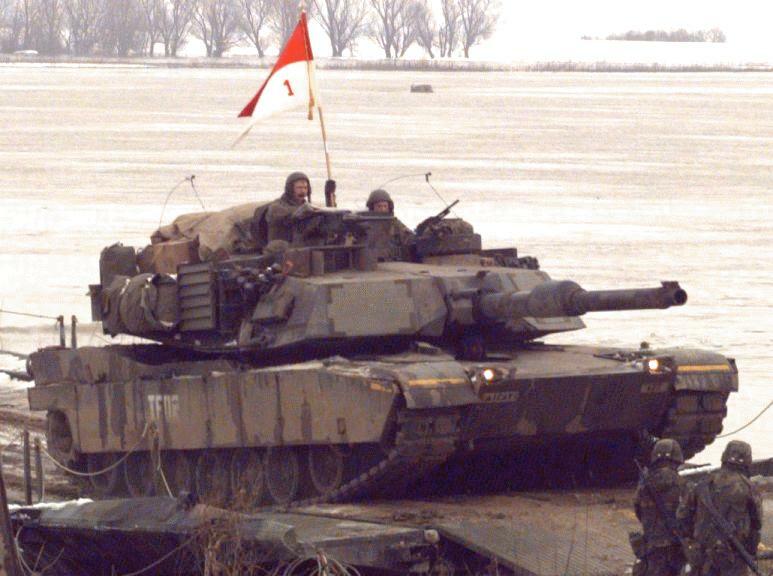 It has downgraded armor (no depleted uranium) and no extra target finder. But it has very new electronics and the auxiliary power plant on the back of the turret. 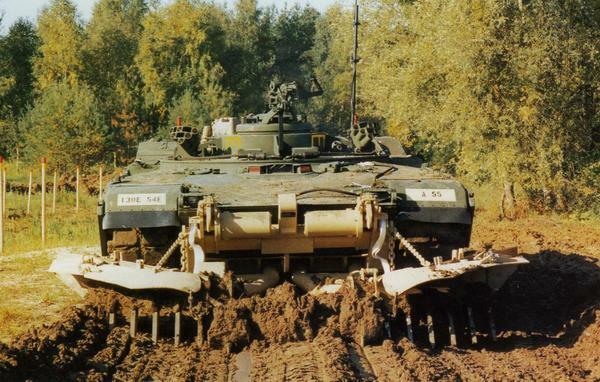 To replace deal with mines a regular Abrams tank can be fitted with a mine roller or mine plough. 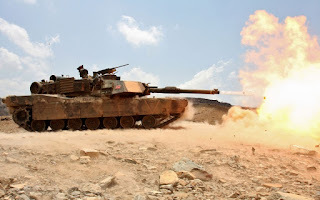 A handful of Abrams tanks have their turret removed and the hole covered with an sort of roof with a hatch, smoke grenade launchers and machine gun. On the front the mine roller or mine plough can be fitted making these vehicles dedicated mine sweepers. 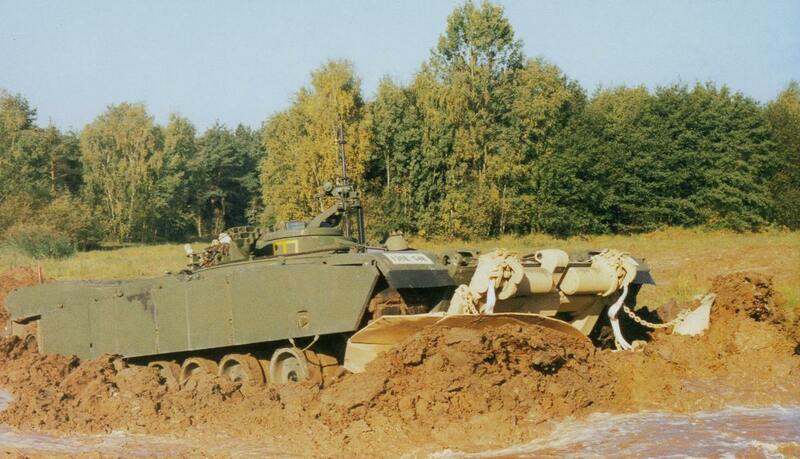 There is one that is entirely remote controlled. The Grizzly is a Combat Mobility Vehicle based on the Abrams tank. 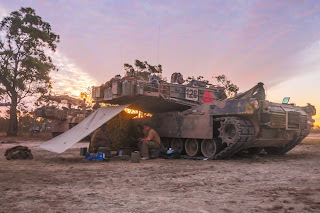 A single prototype was build. The Abrams is a heavy and fast tank. A bit to heavy to conveniently drive over the bridge a Patton tank based bridgelayer can deploy. 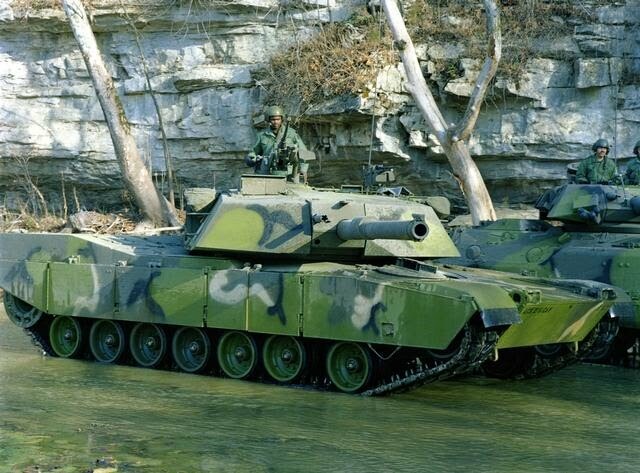 In addition the M60 Bridge layer is to slow to keep up with the Abrams so a new bridge payer was developed as the M104 Wolverine. 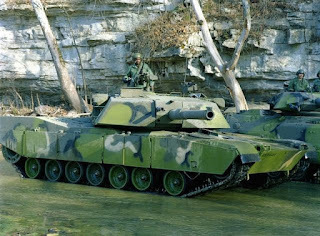 This is basically a M1A2 with the turret removed and replaced by a Leguan bridgelaying system able to deploy a bridge in 3 to 5 minutes. 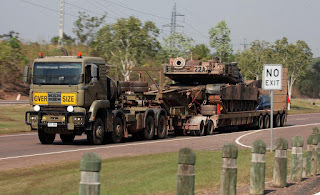 44 vehicles have been build so far. The latest addition is the Abrams family is the M1150 Assault Breacher Vehicle. 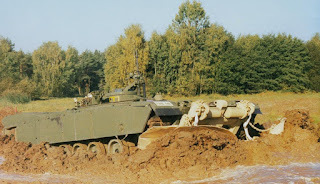 This vehicle is developed by the US Marine Corp to create a pathway trough minefields really fast. 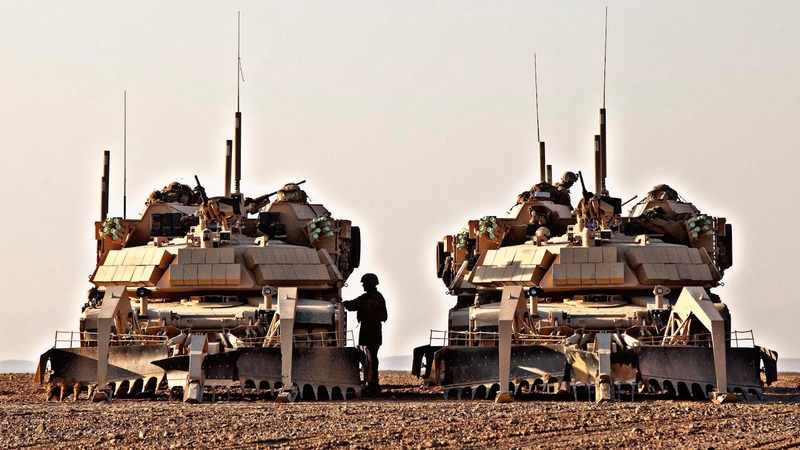 It is equipped with a extra large mine plough, jamming devices to disrupt remotely ignited mines and 'missile' that carries a line of explosives. 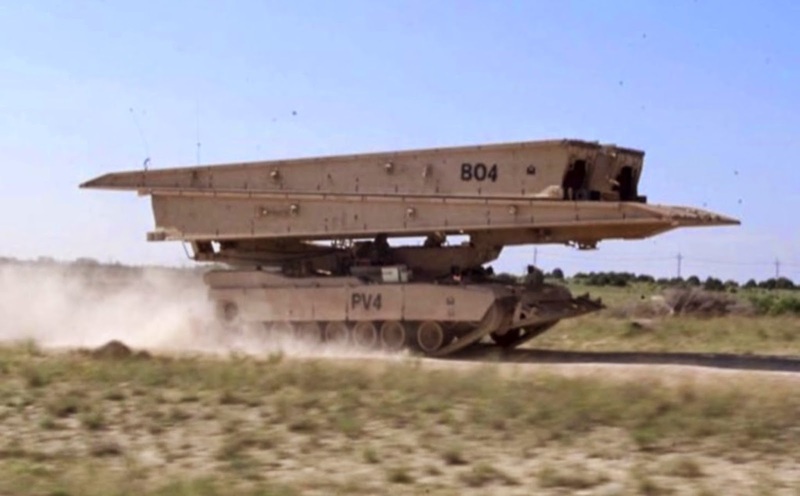 The missile carries the line in a certain direction where it is dropped. 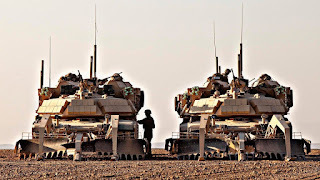 On the line are explosives and these detonate. 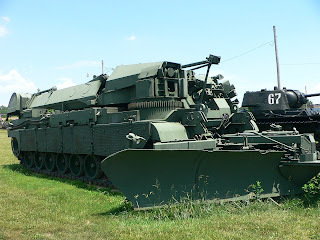 This sends a shock wave trough the ground detonating mines in the area in it's turn. At present about 35 ABV's are in use.